The ZT410 Series printers are loaded with a standard set of advanced features allowing for use ina wide range of applications, including Manufacturing, Transportation/Logistics, Health Care and Retail applications. 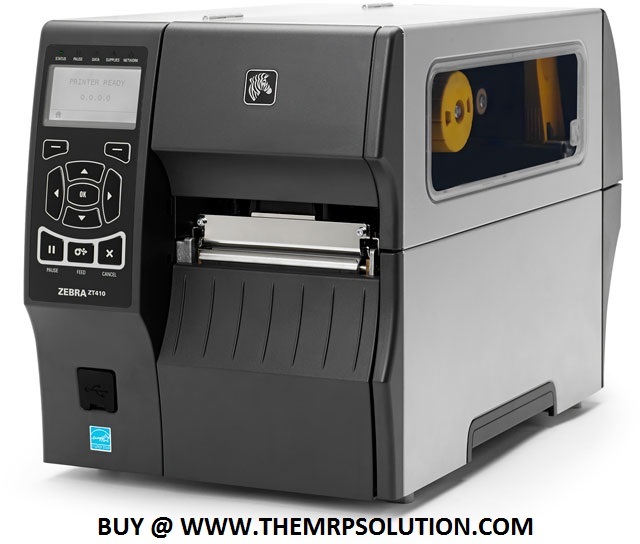 Building on the reliability of Z Series' printers, the ZT series offers upgrades in print speed, connectivity options, and management & support tools. The ZT410 capable in a wide range of environments.